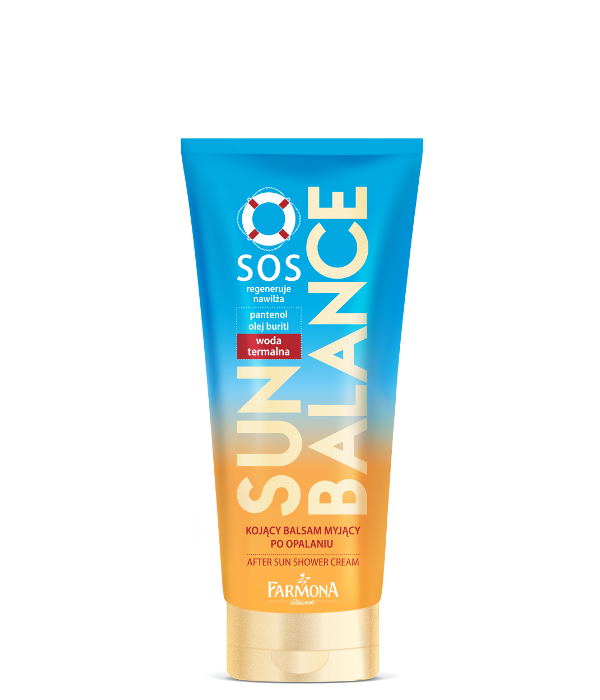 Shower cream effectively softens skin and soothes irritations caused by prolonged exposure to the sun. Innovative formula, based on thermal water, panthenol and buriti oil, intensively moisturizes and regenerates the skin. Menthol contained in the formula gives a pleasant sensation of cool. After use the skin is soft and smooth. Apply a small amount of shower cream onto wet skin. To enhance skin regeneration process, you may leave the product for a few second on the skin, then rinse with water. Aqua (Water), Ammonium Lauryl Sulfate, Cocamidopropyl Betaine, Glycerin, Cocos Nucifera (Coconut) Oil, Helianthus Annuus (Sunflower) Seed Oil, Mauritia Flexuosa Fruit Oil, Tocopherol, Panthenol, Allantoin, Menthol, Tocopheryl Acetate, Inulin Lauryl Carbamate, Hydroxyethylcellulose, Xanthan Gum, Lactic Acid, Disodium EDTA, Sodium Chloride, Potassium Sorbate, Sodium Benzoate, Parfum (Fragrance).